If you have a house worth N50m and N10m car but claim you earn N2m per annum, we’ll ask questions, says FIRS boss, Tunde Fowler – Royal Times of Nigeria. 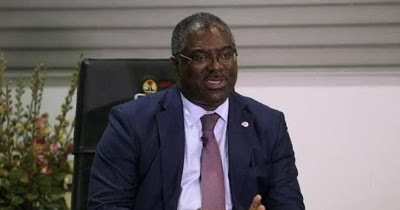 As the Federal government intensifies its war against tax evasion, Chairman of the Federal Inland Revenue Service FIRS, Tunde Fowler, says Nigerians with houses worth N50 million and N10 million car but claim to make N2 million per annum, would be invited for questioning by tax investigators. Fowler said this when he spoke about the Voluntary Asset and Income Declaration Scheme (VAIDS) on Arise TV yesterday. He said; “This country requires those taxes to develop too. Nobody will develop Nigeria except we start developing it. For example, if you declare that you own a car of N10 million, and a house worth N50 million, your clothes, including your suit, watch and tie maybe worth a million naira and you declare that you earn N2 million year, the question would be if you earn such amount yearly, how can you you afford the house, the car, the expensive suit and the wrist watch? These are the questions we are asking. So we believe quite frankly that Nigerians can be law abiding”. It could be recalled last week, Acting President Yemi Osinbajo launched VAIDS in Abuja where he announced a 9 months grace for tax evaders to go to their tax offices to regularize their payments otherwise they will face prosecution.